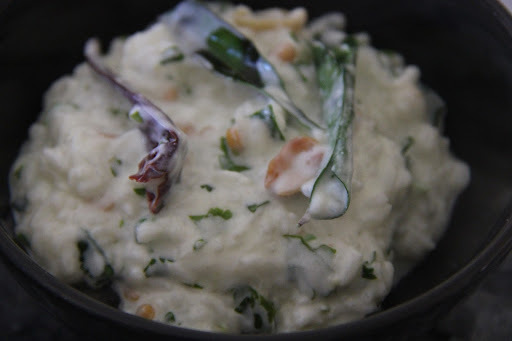 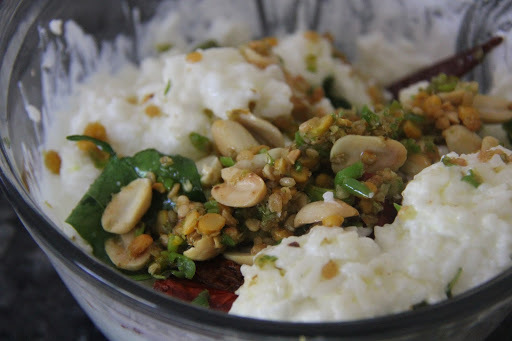 This is a South Indian preparation made with yogurt and rice and tempered with Indian spices, commonly served during festivals and alongside Pulihora. 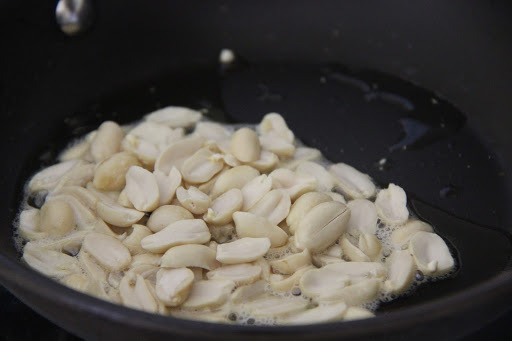 2.Heat oil in a pan and add the peanuts and roast them until they start turning light brown. 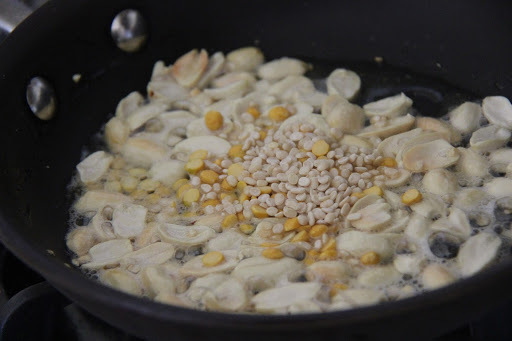 3.Add the Chana dal, urad dal and fry until they start browning. 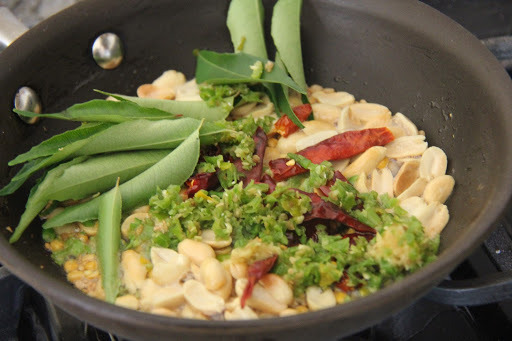 4.Add mustard seeds and cumin seeds,chopped curry leaves,green chili,red chili,ginger, asafoetida and fry well and turn off the stove and let cool. 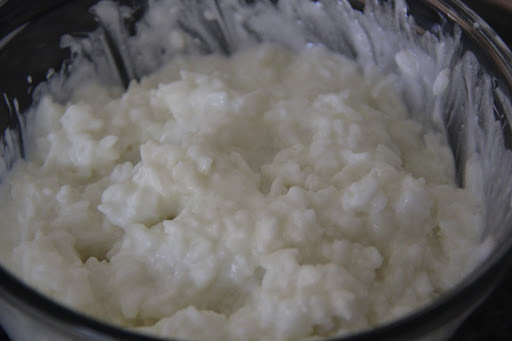 5.In a bowl take the rice and add yogurt and salt and mix well. 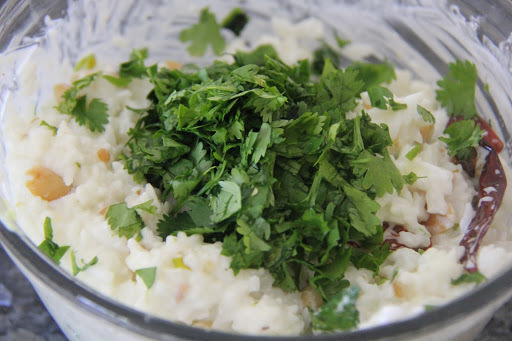 6.Transfer the seasoning on to the rice,add the cilantro and mix and serve. 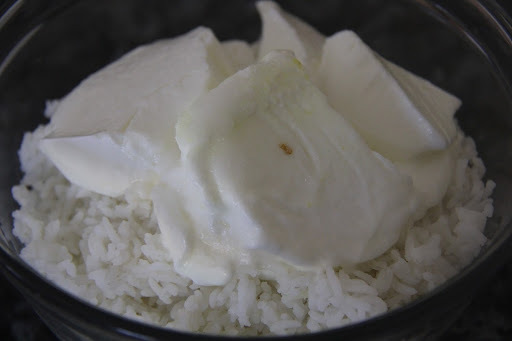 Never heat the yogurt,the probiotic bacteria in the yogurt will no longer be active once heated and the purpose of eating yogurt is defeated.